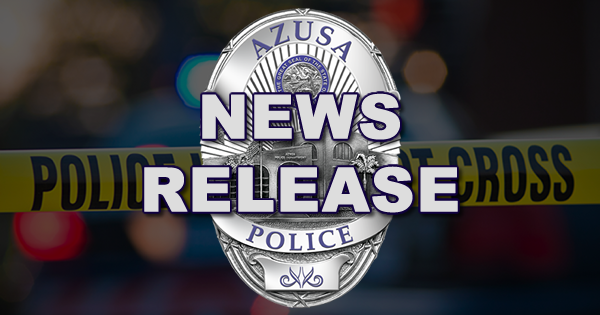 On November 6, 2018, Azusa Police Department officers responded to the 600 block of East Foothill Boulevard in the City of Azusa regarding a shooting which had just occurred. Upon arrival, officers located a male in his thirties who had been shot. Azusa Officers and the Los Angeles County Fire Department rendered immediate aid, the victim was transported to an area trauma center where he is being treated for non-life threatening injuries. The shooting is currently being investigated by the Azusa Police Department Detective Bureau. Anyone with information about this shooting is encouraged to contact Detective Mario Corona at (626) 812-3200.